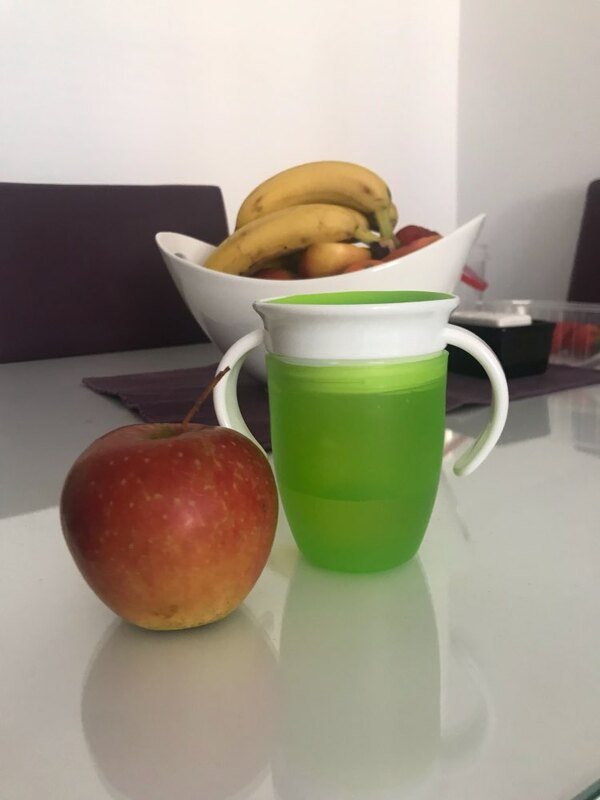 This is a smooth and comfortable 360 degrees drinking cup for your baby to learn how to use a glass. 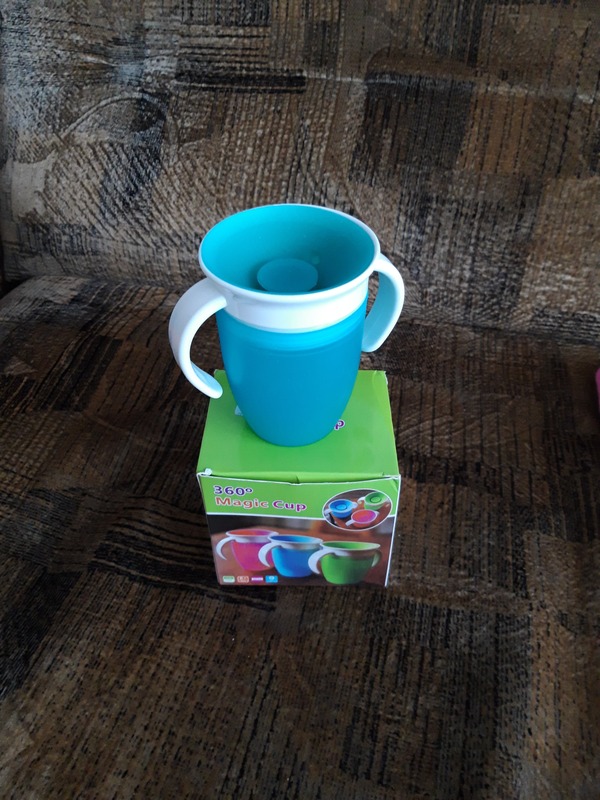 Easy to be cleaned and for kids to grip, non-slip handle. 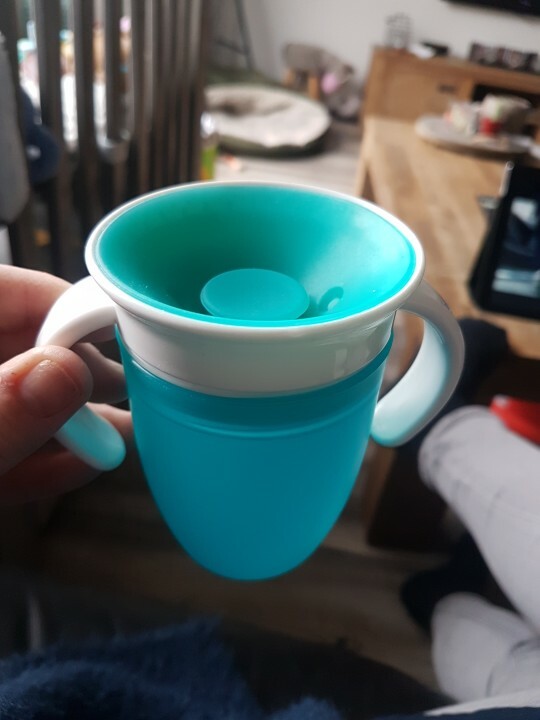 Safe to bite anywhere on the cup. Built-in valve, 360 degree leakproof and spillproof. 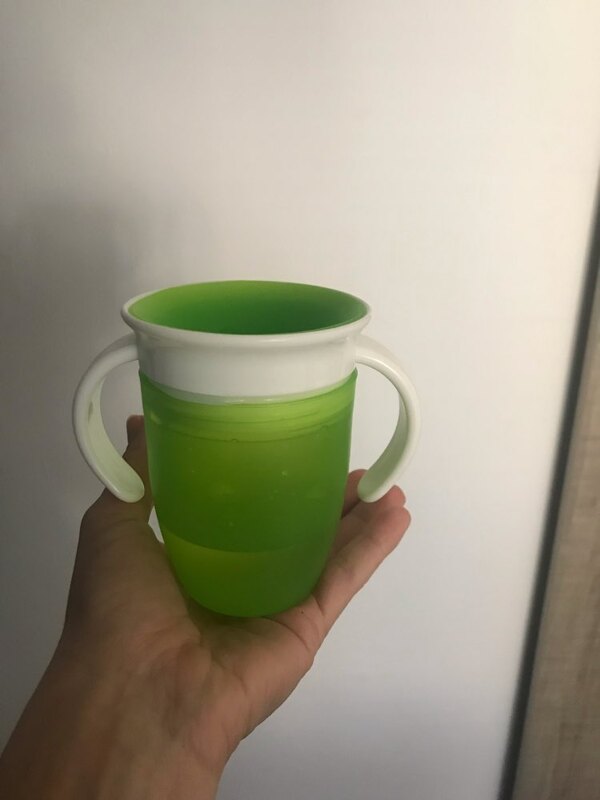 The item looks as shown Sometimes the liquid licked out of the glass Sometimes not but anyway is a Good item for this money. 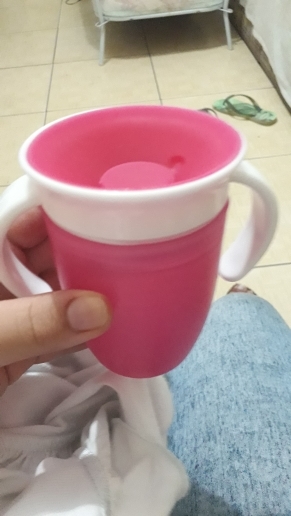 My little one likes to learn to drink with it :) there was no communication with seller - wasn t needed. Great mug! No smell. You need to close exactly, almost like this, leaks. 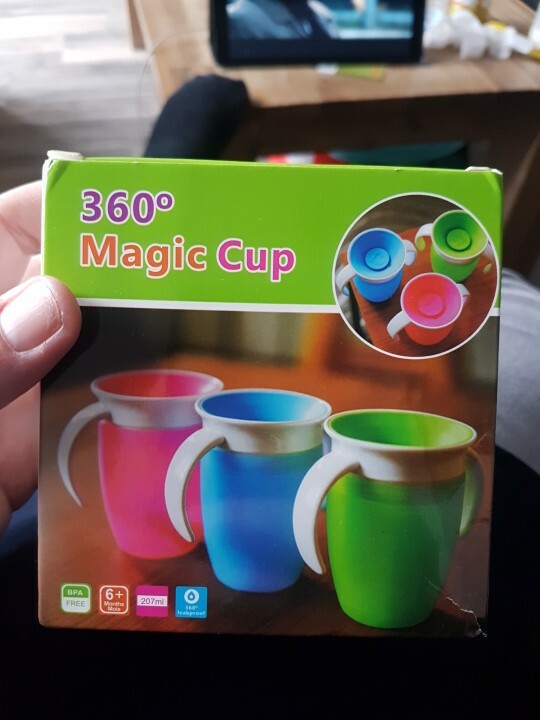 Nice plastic. Not fragile. I recommend! Disassembled and easily assembled to wash.